A few weeks ago, Facebook’s data team released a set of data addressing a simple but complex question: How Diverse is Facebook? Given my own work over the last two years concerning the intersection of race/ethnicity/class and social network sites, I feel the need to respond. And, with pleasure, I’m going to respond by sharing a draft of a new paper. But first, I want to begin by thanking the Facebook data team for actually making this data available for public dialogue. Far too few companies are willing to share their internal analyses, especially about topics that make people uncomfortable. I was disappointed that so many academics immediately began critiquing Facebook rather than appreciating the glimpse that we get into the data they get to see. So thank you Facebook data team! There are many different ways to collect quantitative data involving categories like race, ethnicity, class, gender, sexuality, etc. None of them are perfect. Even asking people to self-identify can be fraught, especially when someone is asked to place themselves into a box. Ask a self-identified queer boi to identity into the binaries of “female/male” and “gay/straight” and you’ll see nothing short of explosive anger. Race certainly isn’t any prettier, let alone ethnicity or class. The salience of these qualities also depends on what we’re trying to measure, what we’re trying to say. For example, if we’re talking about people who experience being targets of racism, should we concern ourselves more with self-identification or external labeling? At the coarsest level, we often assume race to boil down to skin color, meaning that we have to take into account how people read race, how they experience race, how they identify with race. We must always remember that race is a social construct and one’s experiences of race are shaped by how one perceives themselves in relation to others and how others perceive them. And the very notion of race differs across the globe. Of course, this is bloody messy. And ethnicity and class are even harder to locate because self-identification isn’t always the best measure. Heck, while Americans have learned to self-identify with race (thanks to countless forms), we aren’t typically asked to self-identify with ethnicity or class. So these are pretty murky territories. As a result, scholars and demographers and marketers and many others have different ways of trying to measure these categories. None are perfect. We can debate endlessly about which is better but, personally, I think that does the conversation a disservice. This graph highlights that those American users most likely to be white were overrepresented on Facebook until last year while those most likely to be Asian have been overrepresented as far back as they are measuring. Yet, the two lines that should pique our interest are the blue and red lines, highlighting that those most likely to be black and Hispanic have been underrepresented until very recently. In other words, 2009 is the year in which Facebook went “mainstream” among all measured racial/ethnic groups in the U.S.
Folks keep asking me if this surprises me. It does not. This very much matches what I’m seeing in the field. (It also confirms what I was seeing in 2006-2007.) But it also doesn’t tell the whole story. Numbers never do. 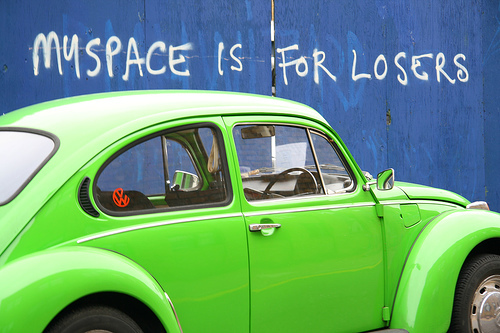 MySpace has definitely declined among young users in the U.S., especially in the last 12 months, but race – and ethnicity and socio-economic status – still inflect people’s experiences with these technologies. Just because Facebook has become broadly adopted does not mean that what everyone experiences on Facebook is the same. I would LOVE LOVE LOVE to see Facebook data that broke down app usage by demographic data (age, location, gender, and their measure of race). Given what I’m seeing in the field, I’d expect you’d see variation. I’d also expect to see variation in terms of how the service is accessed – via mobile, web, 3rd party APIs, etc. As young people tour me through their Facebook experience, I’m regularly reminded that different groups have wholly different experiences with the same service. As Facebook has become a platform, it is no longer reasonable to simply think about access. There’s also a different issue at play… perception. People perceive certain practices to be universal because “everyone they know” is doing it that way. One of the hardest parts of my job is to explain to people that what they are seeing, what they are experiencing, is not the same as what others are. Even if they’re using the same tools. When the “digital divide” conversations started up, folks boiled down the discussion to being one of access. If only everyone had access, everything would be hunky dory. We’re closer to universal access today than ever before, but access is not bringing us the magical utopian panacea that we all dreamed of. Henry Jenkins has rightly pointed out that we see the emergence of a “participation gap” in that people’s participation is of different quantity and quality depending on many other factors. Social media takes all of this to a new level. It’s not just a question of what you get to experience with your access, but what you get to experience with your friend group with access. 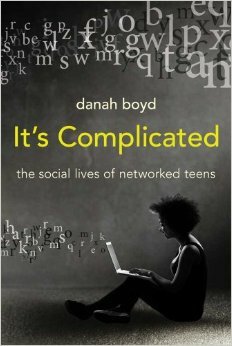 In other words, if you’re friends with 24/7 always-on geeks, what you’re experiencing with social media is very different than if you’re experiencing social media in a community where your friends all spend 12+ hours a day doing a form of labor that doesn’t allow access to internet technologies. Facebook’s data provides a glimpse into how Facebook access has become mainstream. It is the modern day portal. But I would argue that what people experience with this tool – and with the other social media assets they use – looks very different based on their experience. In this article, I explore the themes I’ve been discussing for years but focus specifically on the language that young people used to differentiate MySpace and Facebook and how that language can be understood through the historical dynamics of segregation in the U.S. My decision to use the “white flight” frame is meant to be provocative, to encourage the reader to think about the rhetoric that we’re currently using and its parallels to earlier times. For example, how we employ “safety” as a way of marking turf and segmenting populations. Given the conversations prompted by Facebook’s data, I felt the need to share this work-in-progress. Please feel free to comment or share your thoughts in whatever format makes sense to you. Zephoria, where are you doing your work and are you on Twitter as well (@kyraocity). I am professor/performer working on a project via social media and real time interactions called RACISM AS A RESOURCE (for being courageous and compassionate). 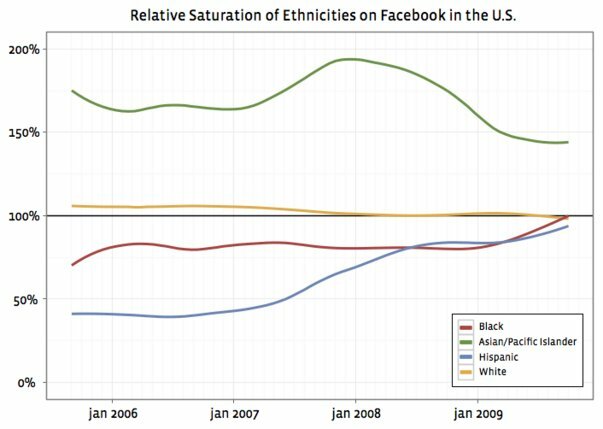 2009 is the year Facebook went “mainstream” among all measured racial/ethnic groups in the US. Is that the point of your post? If so, great news. 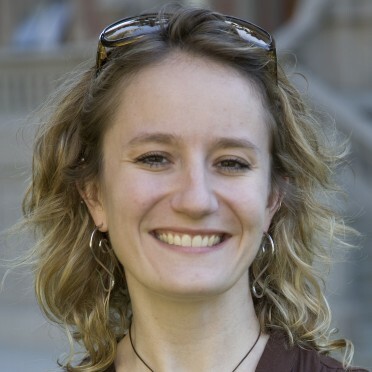 I’m late to the discussion (I missed the reaction to your original blog post) so maybe this has already been covered…really fascinating paper, and I get your provocative use of “white flight” as a metaphor for what your research uncovered, but I wonder if it obscures as much as it illuminates? I’m thinking of the list of structural/institutional forces you mention in defining “real” white flight, forces that defined racially organized space (ghetto v suburb)and that formed the ensemble of socially structured power relations in which individual preferences (“white flight”) took place. From my read of your paper, no such ensemble (or only a very weak ensemble) of institutionalized power relations are in play in the digital MySpace/Facebook filtering process. Now that you’ve shown that the kids are splitting apart along racially constructed lines, maybe the difference between “real” white flight and digital white flight is what’s worth investigating for the next round of research? Thanks for sharing the draft of your chapter. I think this is such important stuff. I am researching in the UK and find that talking to teens about their use of social media they tend to see people as ‘losers’ if they network online with people they do not know. They assume if you connect or make a contact of someone you don’t know, then you must be a saddo. Thus their online connectivity very much reflects their off line connectivity and thus is steeped in the values that they adopt in meatspace. As far as I interpret things, kids do a lot of of social work online; tying up the ends of things that happened elsewhere; ruminating and talking things into place… perhaps they are talking into place prejudice and isms… So thanks for your work as I think I would like to look into the data with this eye to racism & classism. I REALLY enjoyed this paper and found the themes resonated with my own findings in doing educational research (qualitative and survey) with adolescents from low-income urban families in the upper Midwest. The students I interviewed were from various racial and ethnic backgrounds whose families had recently come to the U.S. They were all primarily MySpace users for several of the reasons you mentioned (friend networks, tastes, creative potential, etc). What was interesting to me is that these students were also participating in a non-profit run afterschool program to help them earn admission to a 4-yr college (with a 98% success rate). 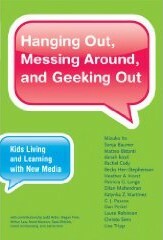 Most of them would be first-gen college students and interestingly, they saw Facebook as part of their college transition strategy; once enrolled, they would get on Facebook, tapping into (their perception of) its college going culture, but keep their MySpace connections to high school roots. For me this raises the question of what role these technologies might play, if any, in disrupting long-standing patterns between education and income? Super, super interesting! Thanks for sharing your work. Very interesting paper, thank you. If you’re interested in other more niche communities feel free to get in touch with our team at Rafi.ki (a network of schools in 115 odd countries). We’d be keen to support. Yeah, whatever. This data basically disproves your (basically moronic) hypothsis. Hi Danah: Read your post this morning and was very impressed with your work; I have posted a link to your draft-paper, along with a few quotes, on my blog. It is great to see high quality qualitative research that takes the time to properly explore and analyze activity in everyday life (be that digital or physical reality). Congratulations to you, and Harvard, for championing this work. Interesting interpretation of this data, great draft. I think once everyone is on board(online), we’re going to see some interesting(familiar) patterns with regard to social interaction online and off, as the line blurs between the two. interesting material, as always. Something struck me on page 21, with Summer’s comment on “designer people”. I’m wondering if there is data on “early adopters” in general vis a vis race and class, and how much of that is economic, how much personal psych, and how much social interaction. It would be very interesting to see that versus age – at what points do people become “early adopters” as a life strategy? 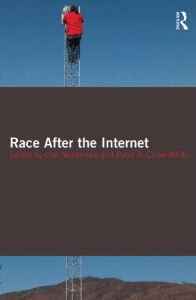 I suggest thinking about this phenomenon of digital racialization/segregation and the way it is co-productive of and reinforces offline racial formation relative to the recent York University study on why taking anti-racist action is rare for whites. Given an experience that occurred at Berkeley in which a white male publicly attacked a black female fellow graduate student and the majority of his Facebook friends (also Cal graduate students or recent graduates who knew/know both parties) chose to remain friends with a person they knew to be a racist bully who engaged in a public email attack, it is interesting to think about how Facebook reinforces whiteness and anti-black racism via the decision of third parties to condone racist bullying via continuing to be ‘friends’ with known racist bullies for the reasons discussed in th York study: http://www.racismreview.com/blog/2009/01/09/taking-anti-racist-action-why-rare-for-whites/. Something else to think about (relative to the question of Jenkins and ‘participation’). when even someone like KPFA producer Laura Prives won’t unfriend this person, despite knowing about his documented racist bullying, there is a lot to think about relative to hoe race is and is not being (re)configured by social networking sites like Facebook. This topic falls into my interest in ethnographic research and I’d like to stay in touch with you, share any information, questions or ideas in the future. I’ve been classified as an African American but I come from a strong ancestral line of Algonquin Native Americans and mixed with Irish/Dutch/Black with the last name of, yes that’s right you guessed it, “Smith”. I’m a FB user and studied and noted my family and friends and their friends FB usage and narrowed down topics of interest for more than a year. I will email you or connect with you soon.